"Twelve-year-old Sophie faces a difficult dilemma; deciding between loyalty to her best friend and seizing the opportunity of a life time. An aspiring actress, Sophie's upcoming audition for a commercial may be the big break she has been waiting for. When she discovers the commercial is for the rival of her best friend's faltering family business, Sophie experiences a crisis of conscience. 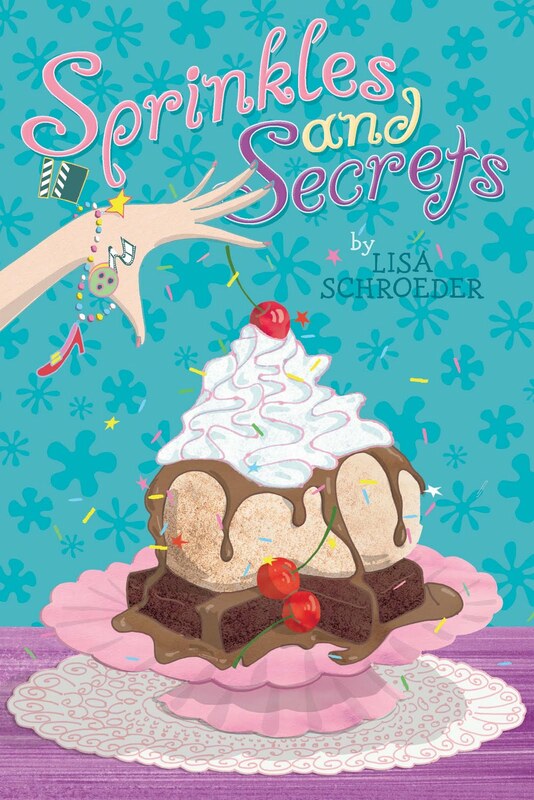 In this sequel to It's Raining Cupcakes (2010), Schroeder delves into the complexity of middle-school friendships. Sophie struggles with a confusing kaleidoscope of feelings, including her jealousy over Isabel's chance to compete in a bake-off and her elation/guilt over the audition. Sophie and Isabel's friendship is jeopardized when Sophie's impulsive decision to lie is revealed. With the help of her new friend Dennis, Sophie may be able to achieve her dreams and salvage her friendship with Isabel. While there are the many references to A Bridge to Terabithia in a potentially intriguing subplot, its story line is not fully developed, and the connection may be too ambiguous for readers unfamiliar with the classic tale. Schroeder skillfully evokes the turbulence of pre-adolescence as she explores the delicate balance of being a true friend while remaining true to yourself. (Fiction. 8-12)"
Only about 40 more days until its release - I'm so excited for fans of the first book to read this one!! "Schroeder skillfully evokes the turbulence of pre-adolescence as she explores the delicate balance of being a true friend while remaining true to yourself." My daughter and I can't wait! Congratulations! I'm about ready for a break from my YA reading obsession. I'll look forward to this. I randomly came across your blog--and I'm so happy I did! I can't wait for this book to come out! Squeal! It's more my sister's age, but we can read it together. Oh? Aww, the store was doing so well in It's Raining Cupcakes. What happened? Fun with Cupcakes - It's Picnic Time! A giveaway and tune in tomorrow!